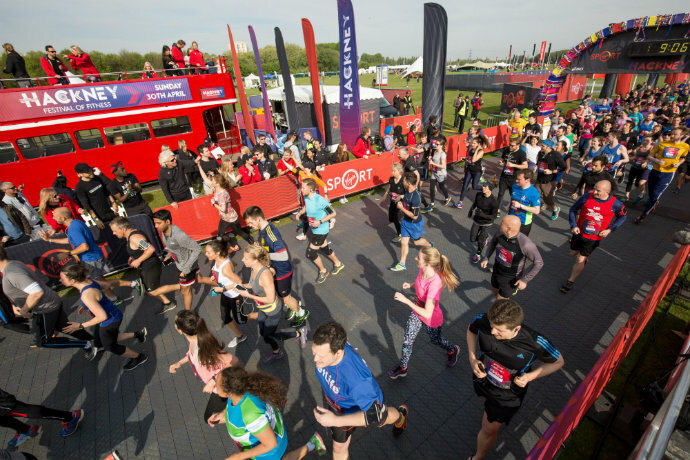 With a new name, new course, hipster lingo, free festival attached and hefty price tag, this year’s Virgin Sport Hackney Half Marathon promised a lot. 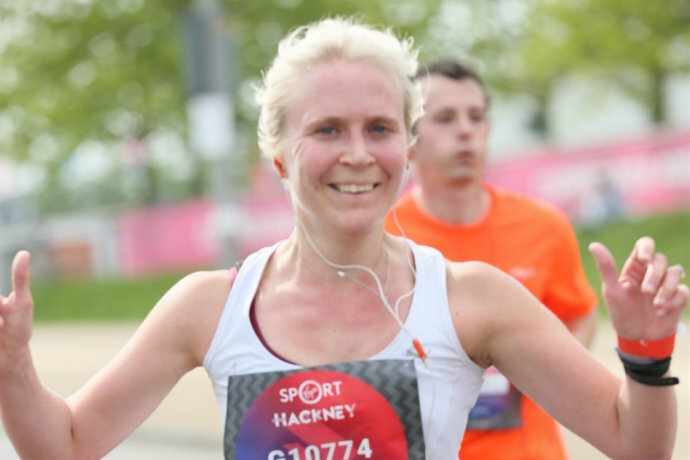 Read on to find out whether 3-times Hackney Half finisher and running addict, Rebecca Bryant, thought it delivered. 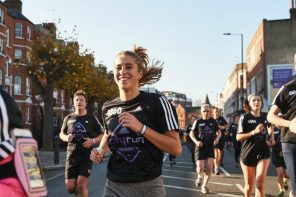 More than just a race, this year’s 13.1-mile dash around East London was part of a bigger Virgin Sport Festival of Fitness. From craft beer tents and street food stalls to fitness classes with the likes of Shona Vertue and even hair and beard trimming, it was an impressive line-up. 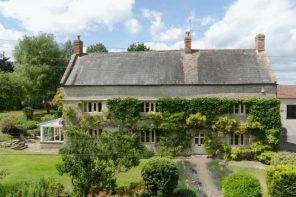 And when you arrived at the ‘village’ on Sunday 30 April, the area was better organised than previous years. There were flags indicating where to go and a real jovial atmosphere. You knew it was going to as fun a challenge as any half marathon could be. So, it was off to a good start? For me, this year was a breeze in terms of pre-race prep. I had a press place which meant no queues, no having to wait around and instant access to the 1:30 pen just before the race began. My colleague, on the other hand, tells a different story. She had to wait at least half an hour to use the loo and then was late for the start of the race. Of course, it happens at races and is only one person’s experience but worth bearing in mind. As someone who ran the Hackney Half in 2013, 2014 and 2015, I wanted to see if I would notice that the course had changed along with the price – which this year had increased to £53. Quite frankly, the route felt pretty much the same until what I’d previously nicknamed ‘the ramp of doom’ which they had thankfully replaced between miles 10-12. We still ran Hackney, as in past Hackney Downs, Hackney Empire, Broadway Market, Victoria Park and the London Stadium. 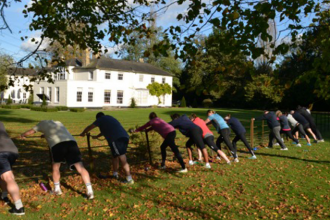 The course may not have changed dramatically but one noticeable change was increased participation by runners of all levels. 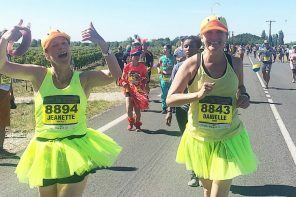 Led by a running crew called the BackPackers, it was great to see, those who had never run a half before being able to take part by joining one of three pacing groups – Joggy, Joggier and Jog/Walk. There is something to be said for a race that caters for everyone. 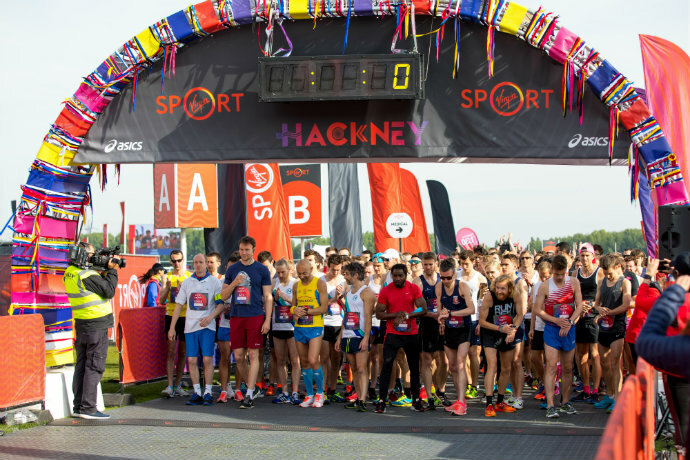 Granted, it was cooler this year – Hackney half day has been notoriously hot in the past – so there was more water on offer than previous years but the aid stations also seemed better organised. The crowds were on fire and really supportive as you raced around this diverse part of East London. From steel bands to DJs, it certainly took felt like a mini-London Marathon (which I’d run the week before) in terms of entertainment and participation from spectators. 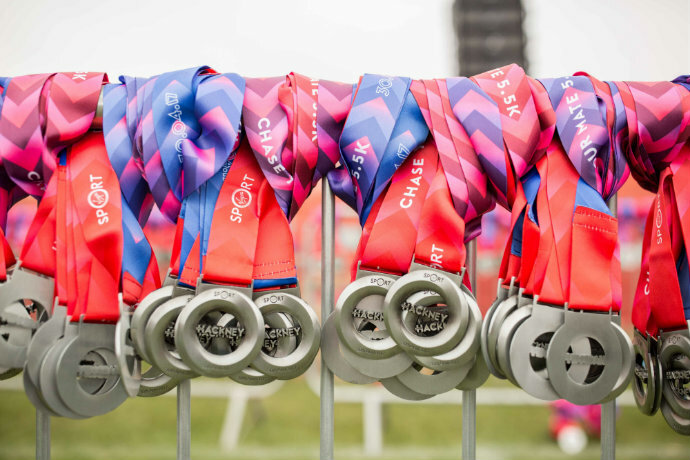 Once you finished and collected your medal plus a goody bag, there was the opportunity to refuel from one of the many street food stalls, have a massage, try out the climbing wall, make a flower headband, try out several different fitness classes… or go home. And most people I asked went home. That’s not to say that others didn’t make use of the festival and it’s not a great idea, I’m just highlighting that some just want to do the race justice and then go. Besides the London Marathon, I can’t think of any other race where you hang around at the end. You either go to the pub or head home for a shower. 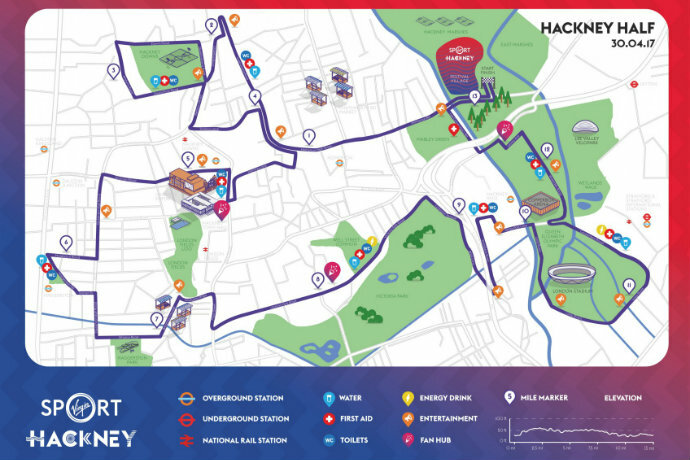 One of the beauties of Hackney Half is the accessibility, you can run it and be home or back in Central London by lunchtime. You’d probably make better use of the festival if you took part in the 5.5K race in the afternoon. Was it worth the price tag? In my humble opinion, not really. You do get free race photos, which is a nice touch, and it does depend on what use you make of the festival but even that was free for everyone to attend. So really you were paying for the race, which wasn’t that different to the previous Hackney Half Marathons. For some, it’s all about the after-party and atmosphere in that case then this is a great race for the money, I’m more of a fan of a smaller trail marathon though.